Hydroquinone products are popular for a reason: they work. And it's not just good for lightening freckles and fading away age spots, acne scars and sun damage - hydroquinone is also capable of lightening your skin by several shades. Plus, at least in the US, it's fairly easy to find hydroquinone over the counter for an affordable price. That's why, despite the controversy surrounding hydroquinone's potential risks, it still remains the most well-known and popular skin lightening ingredient around. And it is safe and effective - as long as you know how to use it safely. You see, brightening and lightening your skin with hydroquinone isn't as simple as picking up a cream and slathering it on - there are things you absolutely must know before you begin to use hydroquinone products. These quick facts - and tips - will give you an idea of what you can expect and what you should and shouldn't do so you can emerge with lighter, more even skin and without any negative side effects. And we all want that, right? Like so many other effective skin lightening ingredients, hydroquinone is a potent melanin inhibitor. Here's how it works, in a nutshell: Tyrosine is an enzyme that's needed to make melanin (the pigment that gives skin its color) but hydroquinone's phenolic compounds interrupt the melanin-forming process by giving the tyrosine something else to attach to. In this way, the tyrosine never gets to perform its duty of making melanin particles. The result? A decrease in the production of and an increase in the breakdown of melanin pigments in your skin cells, which gradually makes your skin lighter. As effective as this melanin inhibition is, it's not a permanent thing. As you can see, it's the presence of the distracting phenolic compounds that hydroquinone brings to the table that prevents melanin from being made. That means that as long as you continue to use hydroquinone, there's a decrease in melanin production and your skin gets lighter. But when you stop, your skin's natural supply of tyrosinase is no longer inhibited and your skin's natural pigmentation will return. Can I just keep using hydroquinone? If your skin returns to its natural shade once you stop using hydroquinone, can't you just continue using it forever? It's recommended that you only use hydroquinone for a maximum of 3 months and then stop using hydroquinone for at least 3 months. During this no-hydroquinone holiday, you can use natural skin lighteners to inhibit melanin and maintain the lighter shade you got with hydroquinone. Is hydroquinone safe for dark skin? Prolonged use of hydroquinone is not recommended for anyone, but it can be especially harmful for those with darker skin tones. Here's why: It's thought that hydroquinone specifically inhibits an enzyme called homogentisic acid oxidase, which can accumulate in collagen fibers over long term use and result in ochronosis, a skin discoloration that results in sooty, bluish-black patches of skin. Which is totally counterproductive. You're only using hydroquinone to lighten your skin - the last thing you need is dark patches. To be fair, ochronosis is very rare. There are only around 20 reported cases in over 50 years of use in the US. And these cases are linked with prolonged hydroquinone use longer than 6 months. The thing is, though, only darker-skinned patients have been documented as showing this reaction with continued use of hydroquinone. Which is why, if you have darker skin (skin types three to six on the Fitzpatrick Scale), we actually recommend that you skip hydroquinone and go with one of the many skin lightening ingredients that are safe for dark skin. If you do want to try hydroquinone, please don't attempt it on your own. Consult your doctor so he or she can prescribe an appropriate concentration and regularly monitor for adverse effects. Can I use hydroquinone with other products? We never have just one cream we're using, do we? We've got a light lotion for the day time, a nourishing night cream for our beauty sleep, anti-aging serums, acne-fighting spot treatments and so on. And whereas you don't need to completely clear out your bathroom cabinets for hydroquinone, you should get ready to read a whole lot of labels 'cause there are a few ingredients you should steer clear of. Here's the list of ingredients you should avoid while using hydroquinone products: hydrogen peroxide, benzoyl peroxide, any other peroxides, and resorcinol. In the case of peroxide products, you'll most likely find them in acne treatments and oxygen-infusing skin care treatments so tread carefully with those. Using peroxide products along with hydroquinone can temporarily stain your skin. You'll most likely be able to remove the stain with some soap and water but it's still best avoided. More important to avoid is resorcinol, which is an ingredient that's used to treat everything from acne to warts. Whereas its be fine on its own, when used with hydroquinone products, it can increase your risk of ochronosis. In fact, in the 1980s, hundreds of ochronosis cases in South Africa were linked to using a combination of resorcinol and hydroquinone. Now we know better so stay away from any products that contain resorcinol while using hydroquinone. Quick heads up: resorcinol is found in quite a few popular skin lightening products like Clarins Vital Light Serum, Clinique Even Better Clinical Dark Spot Corrector, and Philosophy Miracle Worker Dark Spot Corrector so if you're using any of those, put them aside until you're well and done with your round of hydroquinone. 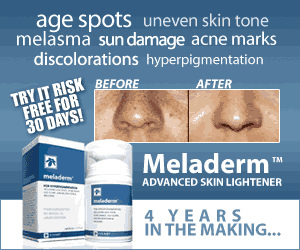 Are there products I must use with hydroquinone? On the other end of the spectrum are the products that you absolutely must use with hydroquinone. Actually, it's just one product and you probably already know what it is: SUNSCREEN. Aim for at least a 30 to 50 SPF, broad-spectrum sunscreen while you're using hydroquinone and apply it religiously and generously every time you head outside. If you can't be bothered to cover your body in sunscreen every time you step outdoors, wear protective clothing - preferably with UPF - or even get yourself a sun umbrella. They're not as dorky as they seem - there are even some cute ones, we promise. The importance of sunscreen while using hydroquinone really cannot be emphasized enough. Hydroquinone works by blocking new melanin production so if your skin is constantly exposed to new UV rays, you simply won't see results even after weeks of using hydroquinone products. But it's not just for results - sunscreen also offers much needed protection. Because hydroquinone results in less melanin, it also leaves your skin more vulnerable to sun damage. Whereas before, you may have been able to spend a sunscreen-free morning on the beach without much irritation - while using hydroquinone, you may be surprised to find that an hour without sunscreen can result in sunburn. It's just not worth it. Slather on the sunscreen. As effective as it is, hydroquinone is not a speeding bullet solution. It will not lighten your skin overnight - or even in a week. In most cases, you can expect to start seeing lighter skin after around 4 weeks of regular use. 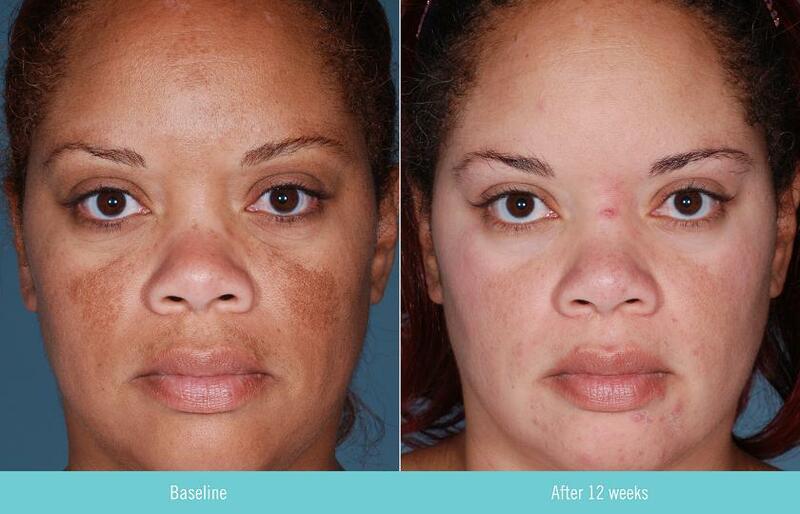 Keep in mind that hydroquinone doesn't break down existing pigment - it works by preventing new melanin from forming. So results will only be seen after the existing darkened skin cells naturally shed and are replaced by the new, melanin-reduced skin cells. This takes a few weeks so be patient. That being said, there are things you can do to speed up results. The most popular product typically used alongside hydroquinone is Retin-A, a retinoid which allows the hydroquinone to penetrate the skin better and deeper and even speeds up skin cell turnover and fights pigmentation on its own. You do need a prescription for Retin-A but you can also find over the counter serums and creams containing retinol in smaller concentrations. 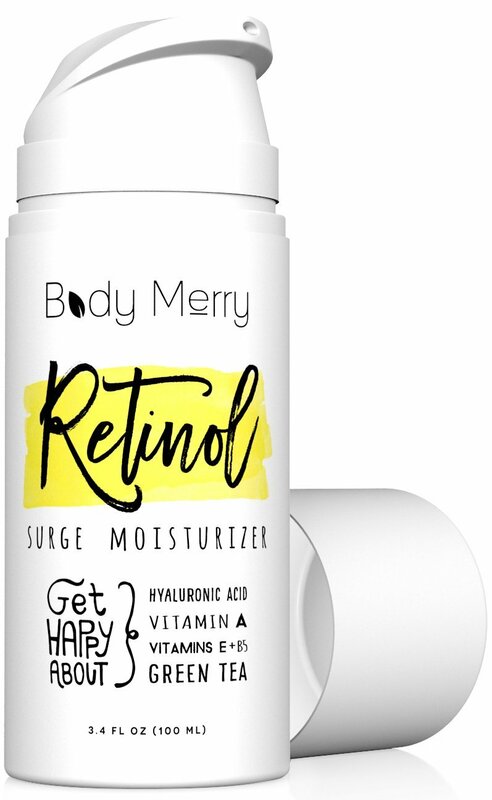 It won't be as potent but that may actually be a good thing since the combination of retinoids and hydroquinone can be drying, especially if you already have dry skin. Another good, non-prescription option is AHAs like glycolic acid, lactic acid, and mandelic acid. AHAs also help the hydroquinone absorb more deeply into your skin and stimulates skin cell turnover. A good option is to use a face or body cleanser that contains AHAs before applying hydroquinone products.